Find Marshville, NC Homes for sale. View Photos, Maps and MLS Data Now! City water and sewer currently planned by Marshville in the coming year. THIS IS PRICED TO SELL! MLS#3496014. Keller Williams Ballantyne Area. The master bath has a double vanity, a gorgeous free standing tub and a large walk-in shower. Virtual tour: https://my.matterport.com/show/?m=2xF7CuKNeTW MLS#3496759. Thomco Properties LLC. Hurry to make this home yours! MLS#3489783. Century 21 Providence. 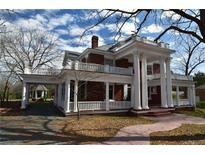 Wood burning fireplace with insert, plenty of storage, tiled kitchen & great room, front porch overlooking rolling hills. Wont last long. MLS#3487979. Keller Williams Union County. Well Suited for Residence, Office or Event Venue Agent Remarks: MLS#3486849. Coldwell Banker Residential Brokerage. Storage building has space for auto plus large crib. MLS#3486892. Greater Carolinas Realty. Conveniently located near the library & other town amenities. MLS#3483042. Century 21 Providence. This home comes with 1 year HOME WARRANTY. MLS#3480696. Allen Tate Providence @485. 2 car carport and plenty of extra parking. A must see! MLS#3475012. Allen Tate Steele Creek. Polk Mountain Plantation - Unfinished bonus room over garage and minutes from I-485 and the new Monroe Expressway make this a rare find. MLS#3472713. Century 21 Providence. HVAC replaced in 2015, new roof in 2010. MLS#3473550. I Save Realty. Make an appointment to view today! MLS#3472646. United Real Estate-Queen City. Room over garage is not heated, so not included in square footage. MLS#3468754. Coldwell Banker Residential Brokerage. All you need to do is move in and start enjoying! MLS#3462975. Debra Lynn Price. Home to be sold "as is". MLS#3460120. Farms & Estates Realty Inc.
Calvert Place - Garage/Workshop is 30x40 with a 16x28 Covered Shed attached on the back. MLS#3457365. Russell Tanner Real Estate. House was on septic tank. Pictures to be updated 4/2/19. MLS#3451276. Sterling Source Realty Group Inc. Priced $15,000 below appraised value!i MLS#3441830. Century 21 Providence. Access to driveway is via easement. MLS#3435610. A & E Real Estate. Just two miles to the new Bypass recently opened! MLS#3437199. The Macy Group. If zoning permits, this would make a great office for several types of professional business. MLS#3431456. Century 21 Providence. Excellent Location with easy access to Charlotte via I-485, Hwy 24/27. Monroe & Concord via Hwy 601 . MLS#3406507. Country Home Real Estate. There were originally 4 bedrooms in the home and could easily be converted back to four rooms. MLS#3406309. Century 21 Providence. This is a home that you can come in and put your own touch on it and have a beautiful Estate like no other! MLS#3380209. Emerald Pointe Realty & Construction Inc.
A property like this doesn't come on the market often so make sure you act fast! MLS#3380207. Emerald Pointe Realty & Construction Inc.